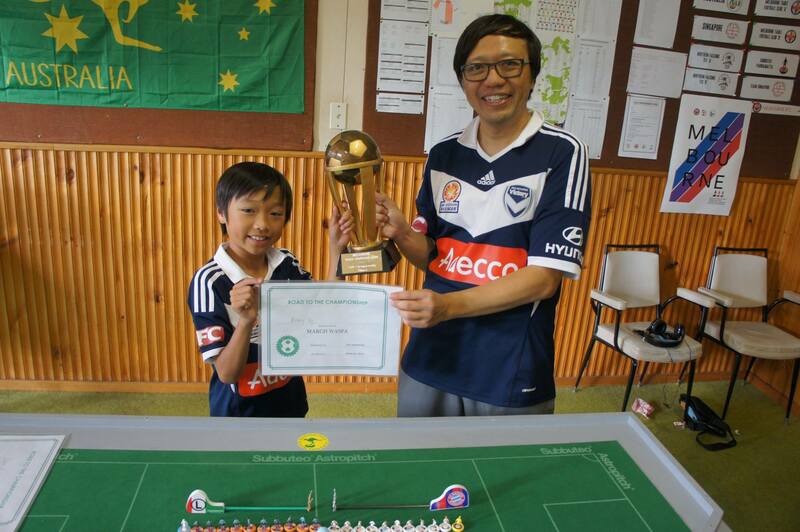 This entry was posted in News, Upcoming tournaments on 24/09/2017 by subbuteomelbourne. 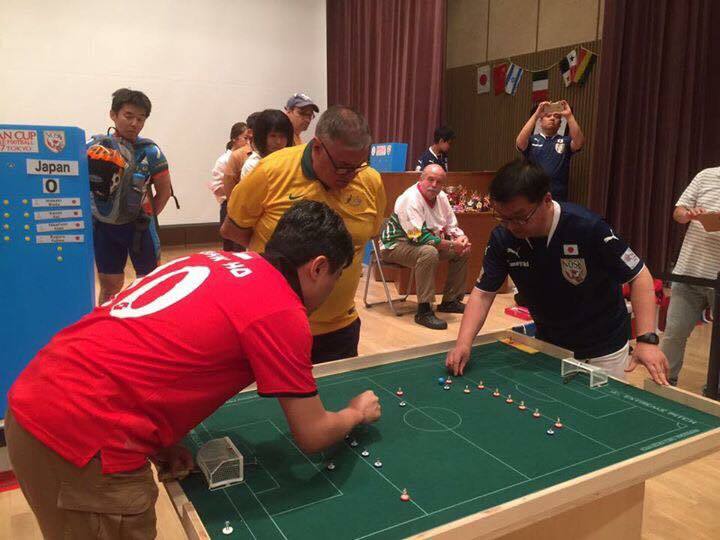 The 2018 Asian Cup of Table Football will be played in Melbourne, Australia from 19-21 January 2018. This event is a FISTF Continental Championship offering players the most ranking points possible outside of the world cup. In order to compete in the individual competition, players must have a FISTF licence from an Asian Nation (e.g AUS0003 or SIN0079 etc). 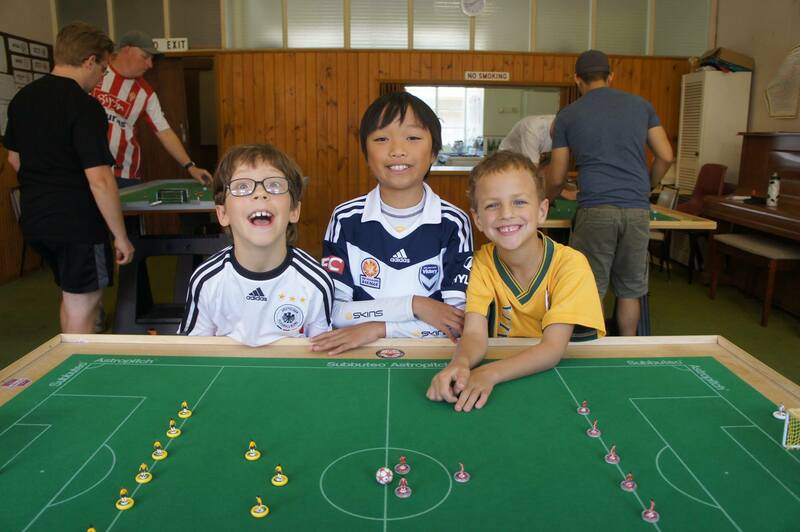 This event is shaping up to be Australia’s biggest ever Subbuteo tournament and players of all ages and skills are encouraged to attend what will be a fun-filled weekend of Table Football action. Additionally, the Australian open tennis Grand Slam will be played over the same time period, so international guests can tie in a visit to one of the best sporting events in the world! 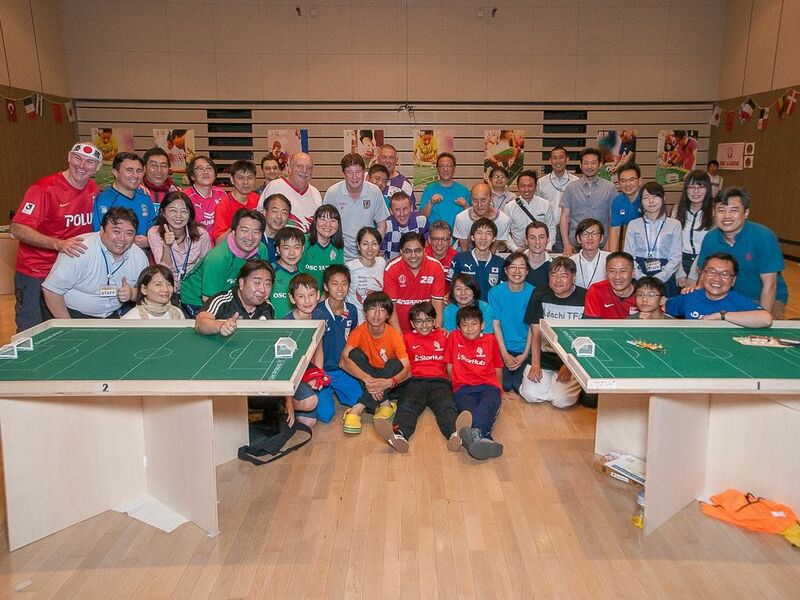 First played in 2015, the Asian Cup is the premier event of the Confederation of Asian Sports Table Football Associations (CASTFA) and is played to determine Asia’s top player, club and nation. 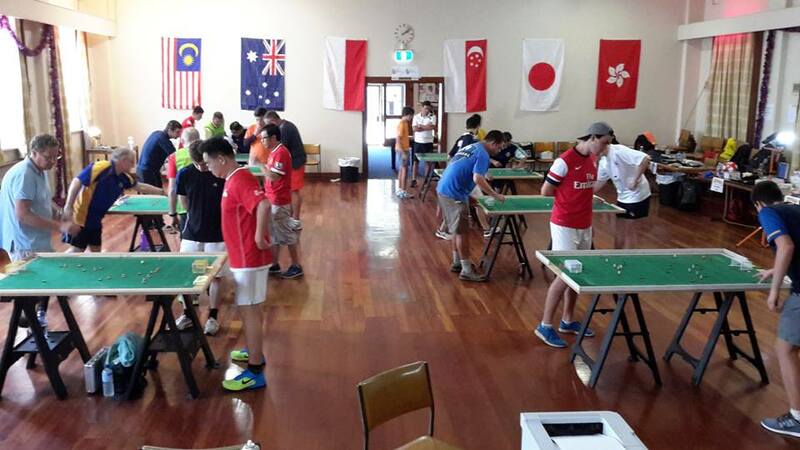 Since Melbourne hosted the inaugural edition in 2015, the tournament has travelled to Singapore in 2016 and Japan in 2017 with the standard of play rising at each edition. The 2018 tournament sees a return to the birthplace of the tournament with local organisers working hard to ensure all players are able to have a fantastic experience. 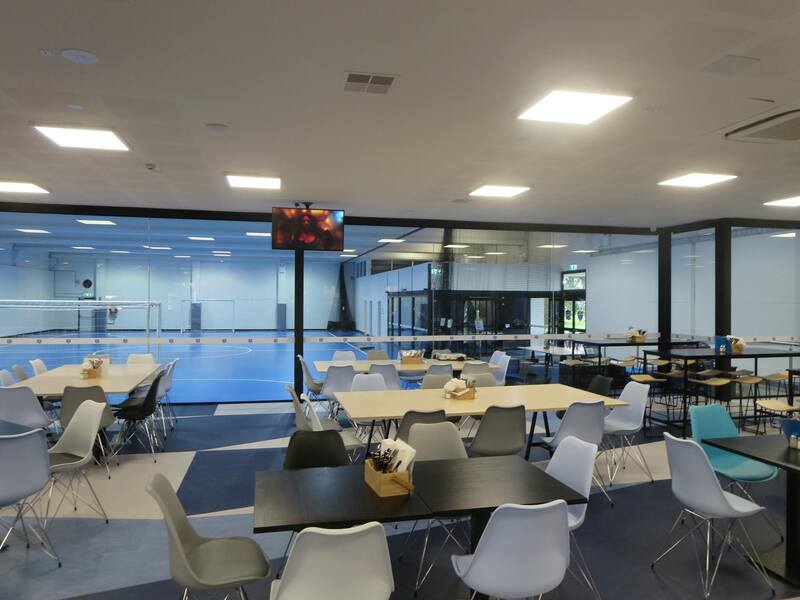 Lakeside Futsal is located in the heart of Melbourne’s iconic Albert Park Lake and is situated inside Lakeside Stadium- an international standard venue for football and athletics. 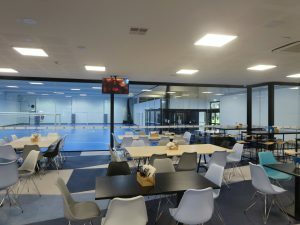 Accompanying the futsal centre is the 1959 Bar and Grill which will host the Welcome Dinner and meals throughout the weekend. Saturday 20th- Individual competition- Open, Juniors, Ladies. WASPA consolation tournament for players eliminated in the group stage. The tournament entry fee will be $89 for Adults if you register on or before November 30th and $99 thereafter. Note: in order to receive the early bird price you must pay before or on 30th November. This entry was posted in News on 12/08/2017 by subbuteomelbourne. 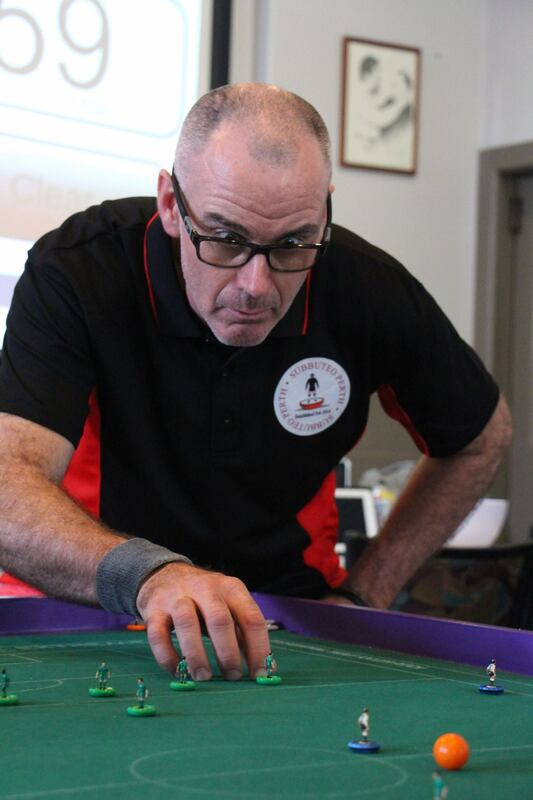 For the first time in history, Perth, Australia will play host to an event on the world tour of Sports Table Football (Subbuteo). 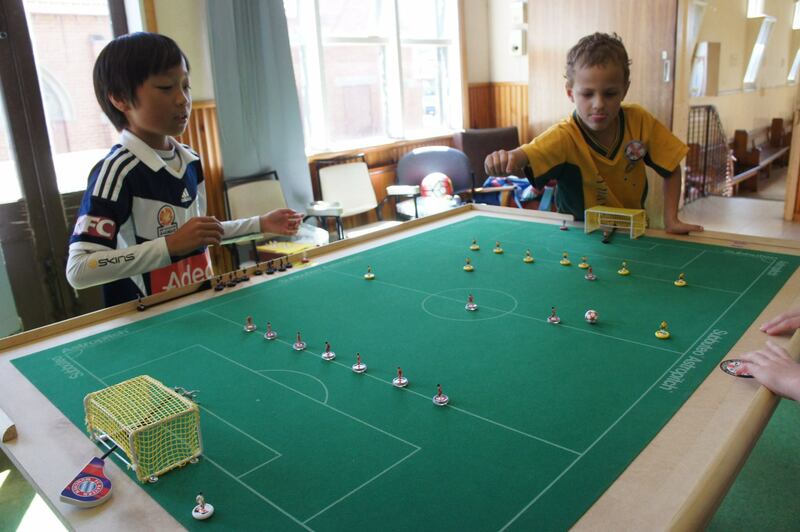 Sports Table Football, or “Subbuteo” as it is widely known, is a game based on association football. 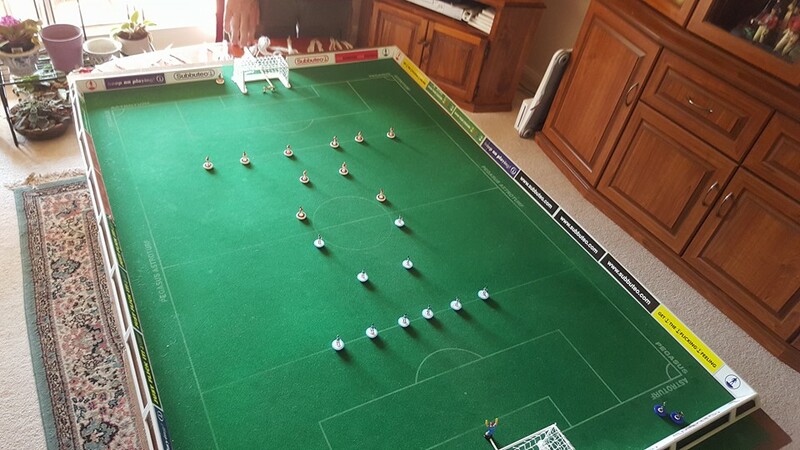 For many years it was marketed as “the replica of Association Football” or “Table Soccer”. The 2017 Perth Winter Classic comprises of two individual events which both go towards the world rankings. The Saturday is an ‘International Open’ classification and the Sunday is a ‘Satellite’ event. A strong and competitive field will battle it out on the pitch headlined by Singaporean players Irwan Iskander and Vikas Chandiramani (world ranking 177) who make the trip to Perth with silverware in their sights. 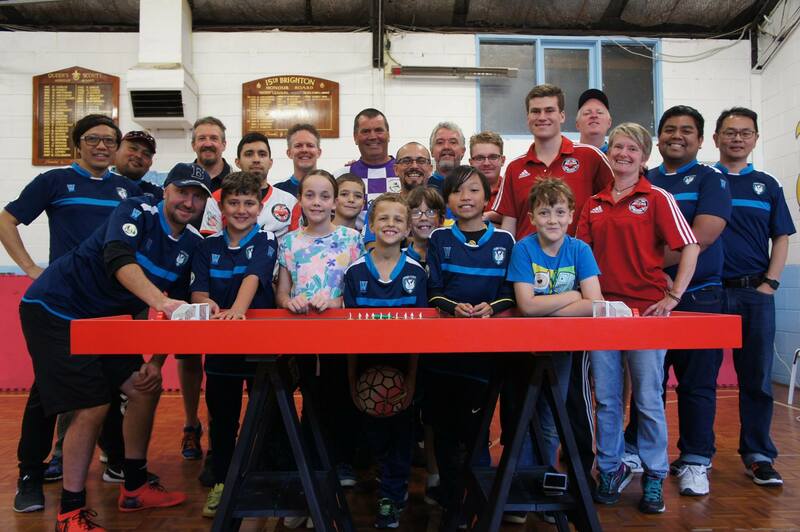 Local favourites include Sydney TFC’s Fabrizio Coco (56), Melbourne TFC’s Benji Batten (127) and Perth’s Ross McNulty and Alan Kimber who have been training hard to take victory on home soil. The event will be hosted at the Fremantle Town Hall, Corner William, Adelaide and High Streets, Fremantle on the 29th and 30th of July. Entry for spectators is free and we encourage people of all ages to come down and watch, with spare tables on hand for beginners to try out the game. 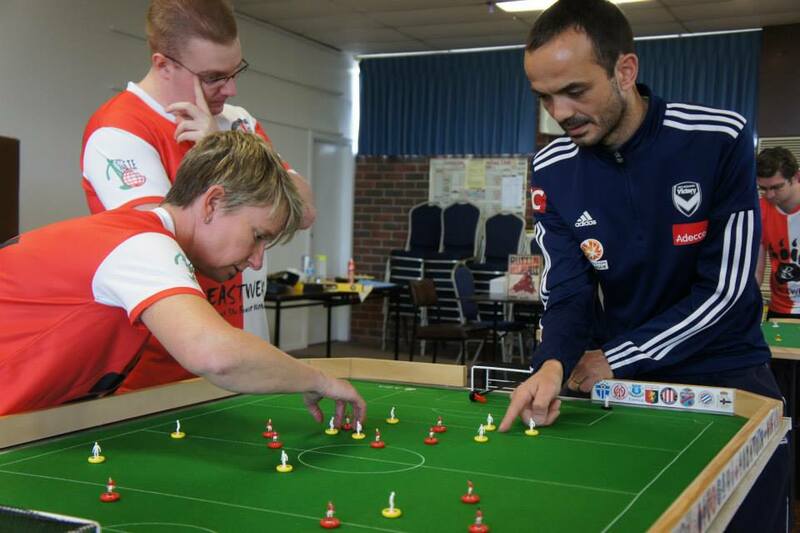 For anyone interested in playing Subbuteo table football, this would be the perfect opportunity to come down and see what all the excitement is about. This entry was posted in News, Upcoming tournaments on 24/07/2017 by subbuteomelbourne. 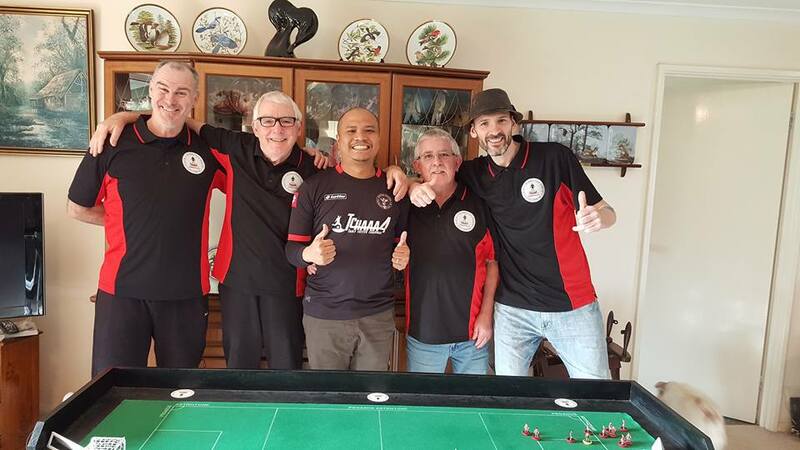 This weekend from the 3rd to 5th of February, the Australian Table Football Association will host the 2017 FISTF Grand Prix of Australia at the Associazione Napoletana in Leichhardt. The tournament will feature more than 30 players travelling from all over Australia and Singapore to compete in the event. The individual event is sure to be hotly contested with world #45 Peter Thomas (Australia’s highest ranked player) the tournament favourite. Thomas will face stern competition, notably from Singapore’s Benny Ng and Australia’s Fabrizio Coco and Eliot Kennedy who will each be seeking to cause a big upset and take the title. 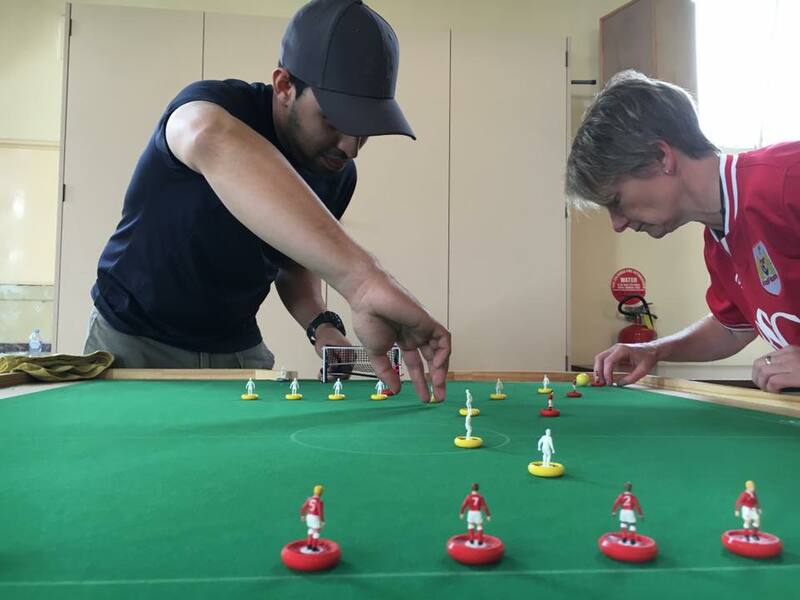 There is a truly national flavour to this year’s event as the Perth Subbuteo Club brings a team for the very first time. 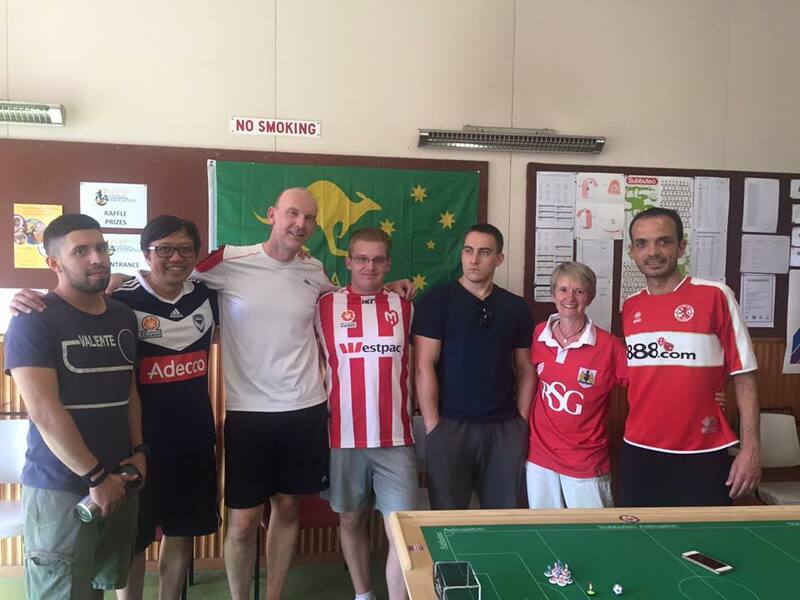 Brisbane Subbuteo club will also play in the teams event along with Melbourne Table Football Club, Sydney TFC, Subbuteo Parramatta and the Northern Falcons TFC. 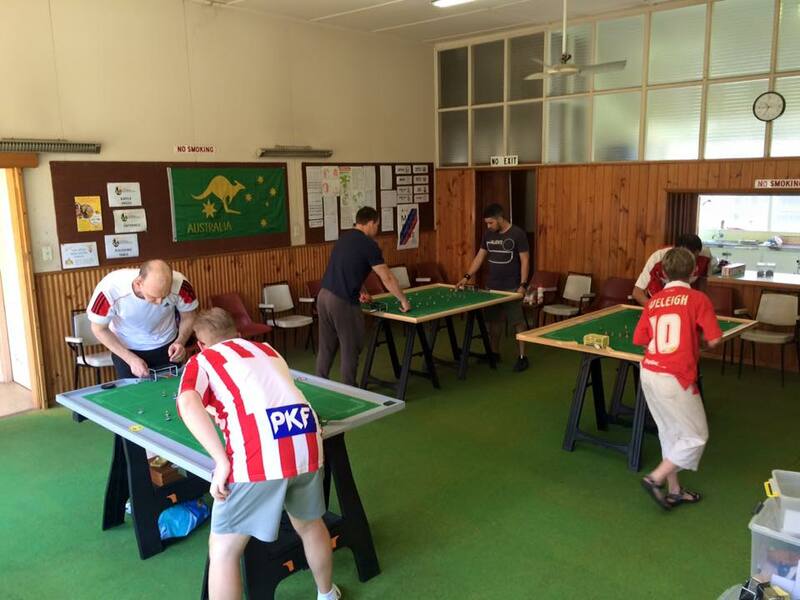 Saturday will feature the individuals battling it out in open and junior categories, while on Sunday a teams competition will take place with the current champions Melbourne Table Football club competing against 6 other teams. 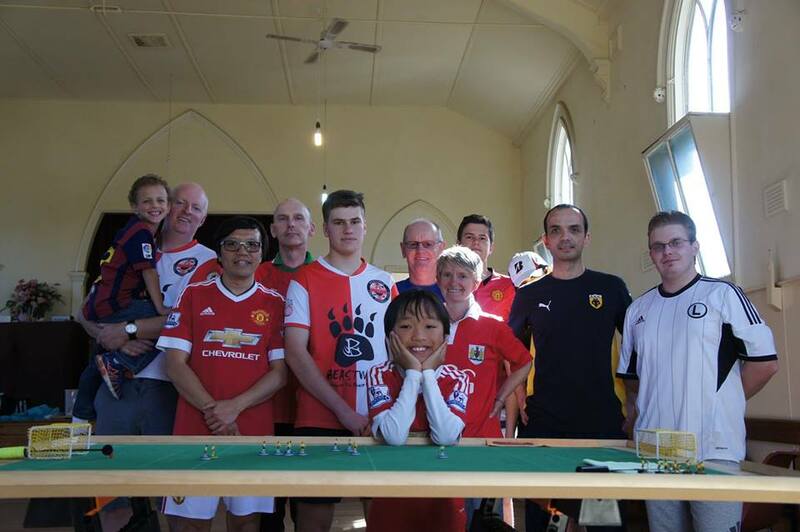 Additionally, the Sunday will play host to the first all-female table football tournament in Australia with 4 players contesting for the title of Australia’s top female player. As always, the event is sure to be a cracker, with great fun to be had players and spectators who will be immersed in the excitement, action and drama that will unfold over the weekend. 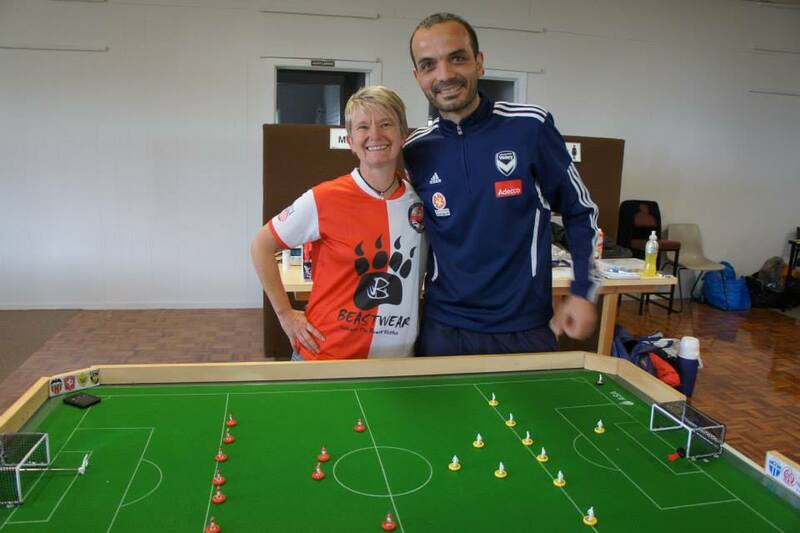 This entry was posted in News on 02/02/2017 by subbuteomelbourne. Above average turnout and a pizza night. 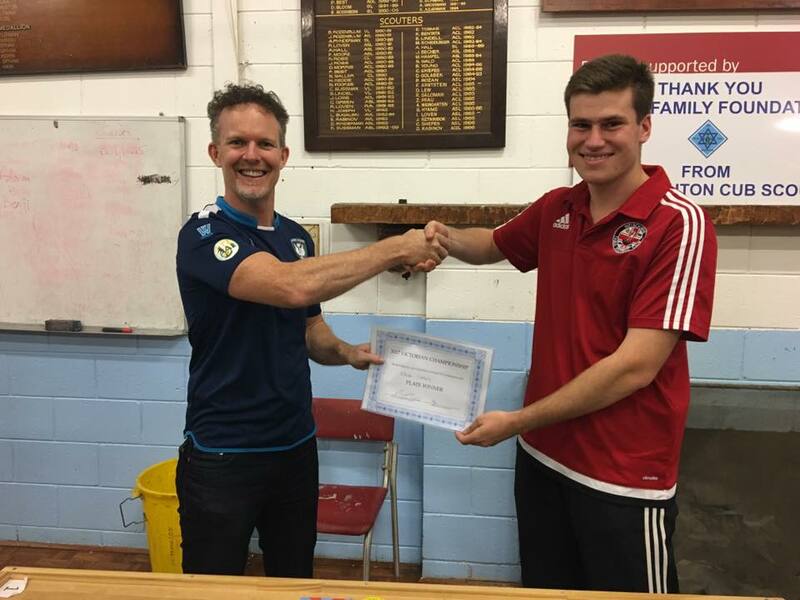 Melbourne had its final WASPA tournament for the year with 12 participants where Carl Young took first place however was challenged by the Melbourne International Open WASPA winner Luke Radziminski in a very tight game. 1-0 was the final score from a looping deflection off a defender had the goalkeeper found itself in no man’s land to concede a goal. Some fine saves were made by Luke throughout the game but struggled to find a good shooting opportunity to equalise. In the groups we had a ‘group of death’ situation in Group A which consisted of Benji Batten, Paul Mercer and Dillon Izon. Dillon achieved narrow 1-0 victories, Benji and Paul drew 1-1 with each other which meant equal points and head-to-head comparisons. This meant a penalty shootout was needed to decide second place and advancement to the quarter finals. Paul Mercer came out the winner (1-0) on penalties. Group B saw Luke cruise past Christos and Alexandros with 2-0 wind in each game. Christos and Alex drew so this also meant another penalty shootout to decide second place. 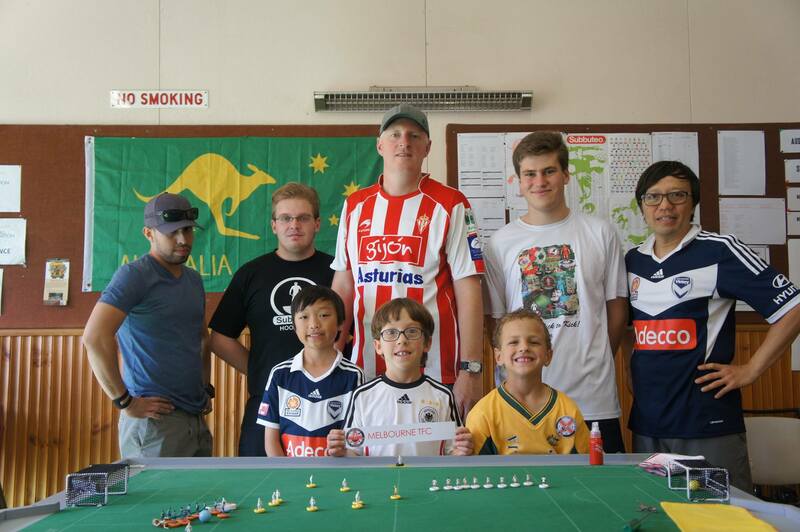 Alexandros went through on sudden death and his world class penalty is featured in the Subbuteo Melbourne group on Facebook. Carl finished first in Group C as well as Benny in Group D.
Shoot-out in the Greek Derby! 16 shots, but one singular goal proved enough. The quarter finals had Carl, Luke and Benny win their games with the last match contested between Dillon and Adam. Dillon winning 2-1 however Adam equalised at the last second which forced the game into a penalty shoot-out. 1-1 was the score at the end of the 5 spot kicks and Dillon managed to go through on sudden death. 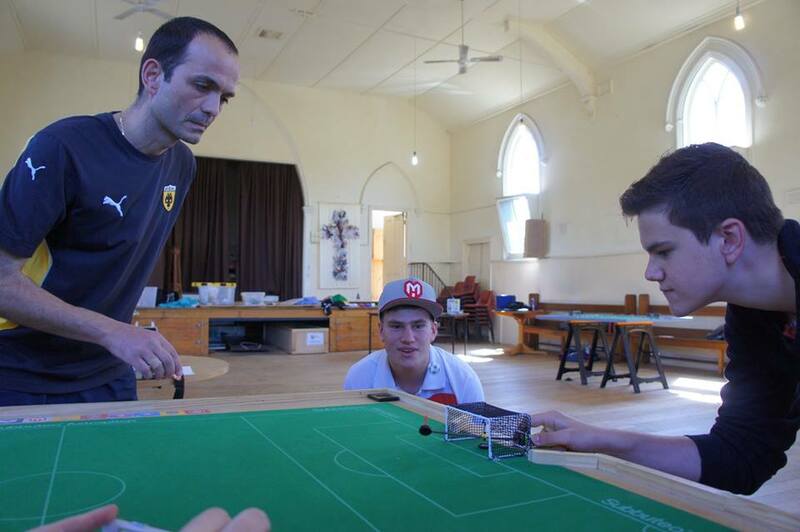 The Semi-finals saw Luke play against Dillon and Carl against Benny. 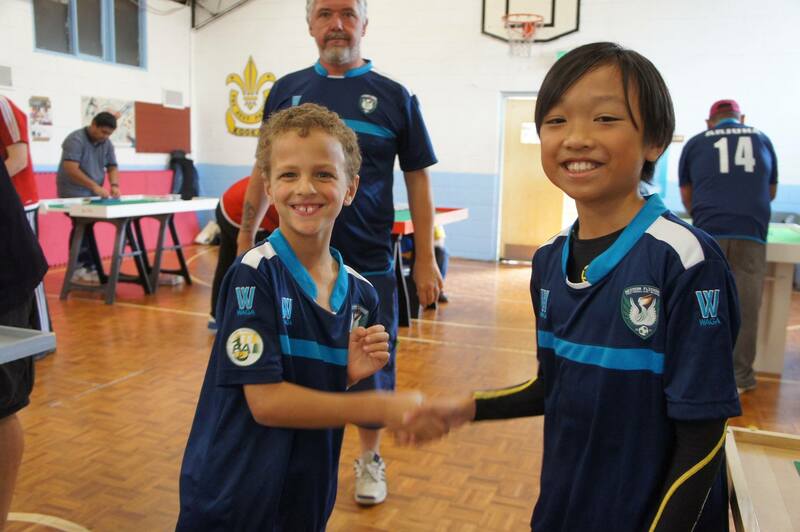 Luke managed to walk away 2-0 victorious over Dillon in a hotly contested match. 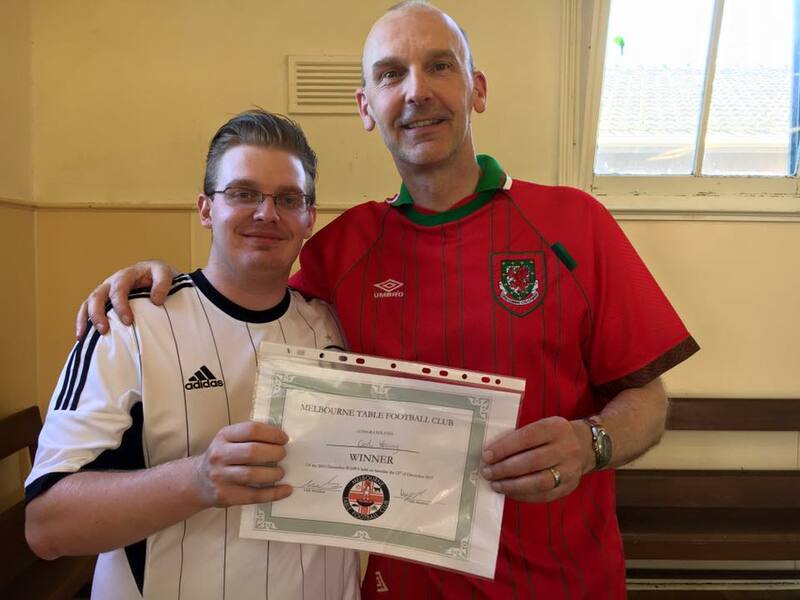 Benny managed to equalise against Carl but this only made Carl more adamant to score goals and punished Benny from defensive errors achieving a 3-1 victory. 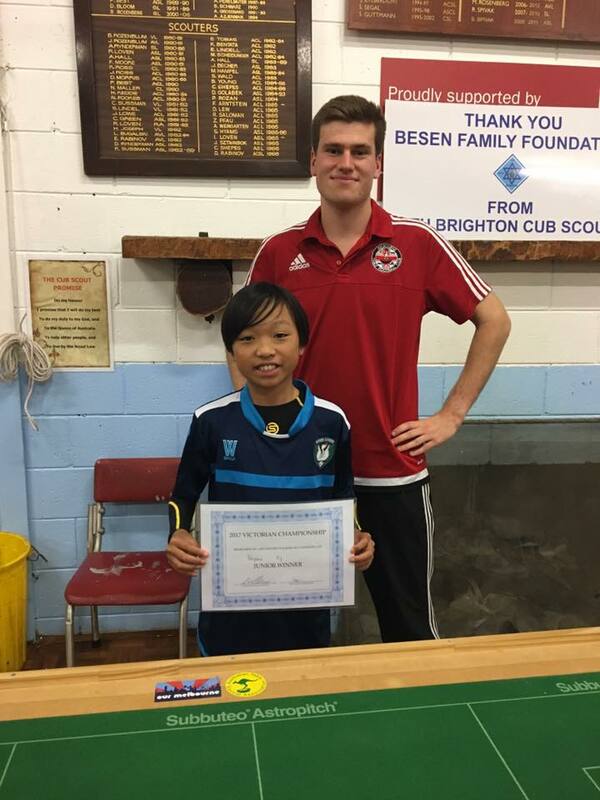 As the grand final took place, Benjamin Ng and Aidan Deverell, who are both juniors, took part in the open tournament and played each other for 11th position where Benjamin won 1-0. Benji finished 9th after defeating Christos and after Adam and Paul would finish equal 5th after wins over Alex and Beth Respectively. 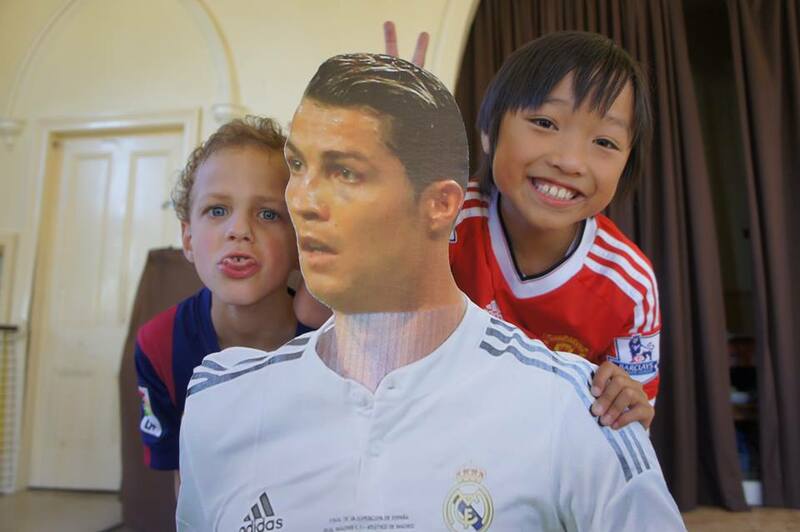 Aidan and Benjamin having fun with MTFC’s newest member- Cardboard Ronaldo! Pizza night was organised and Luke got mixed up with which pizza belonged to who and ended up eating half of Benny’s pizza. Although Luke kindly compensated Benny with his Pizza, he will continue to live in paranoia and fear for his life if Benny decides to suffocate him with a pillow while he is sleeping as an act of revenge for the pizza gate incident. Thanks to everyone for a great 2015 season, our eyes are now firmly fixed on the Australian Grand Prix in Sydney next month. 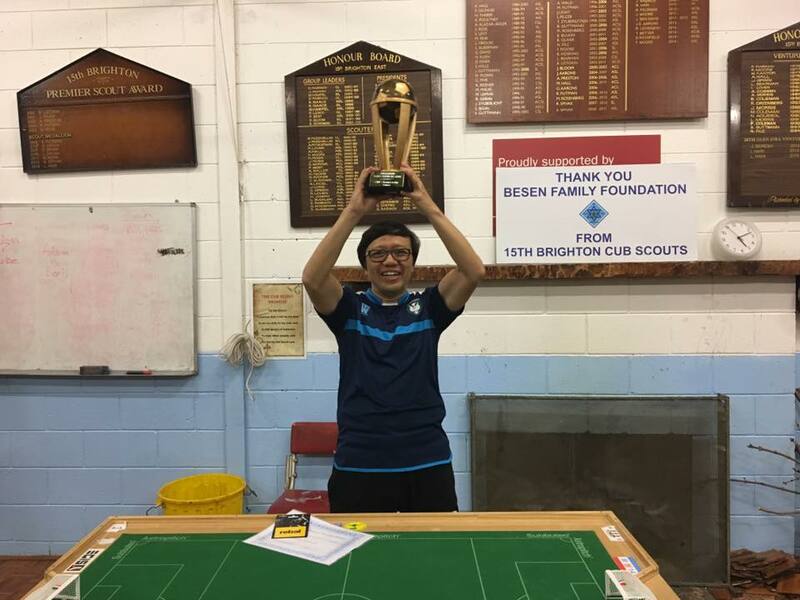 This entry was posted in News, Tournament reports on 17/12/2015 by subbuteomelbourne. 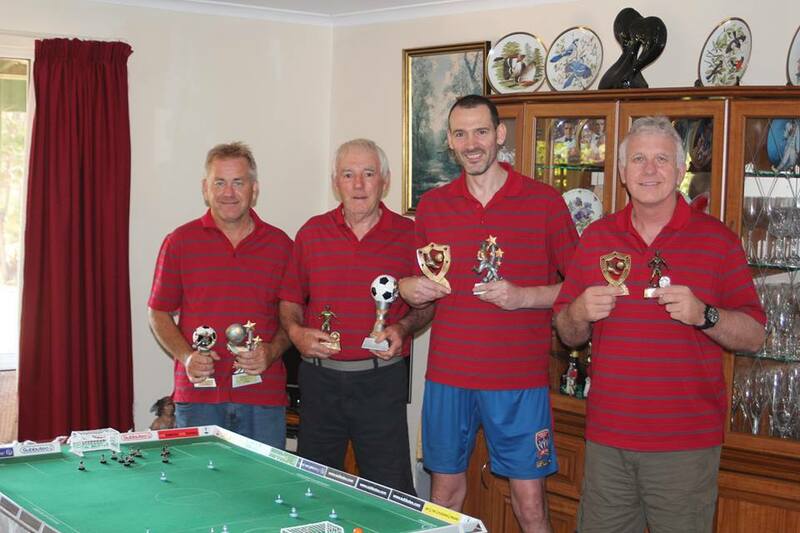 News has come through this morning at ATFA HQ that Perth Subbuteo has succesfully staged their 3rd and 4th waspa tournaments respectively over the last two months. Growing from an initial player base of just Chris Thorn and John Harty in 2014, the club has now expanded to four players with Ross McNulty and Alan Kimber joining the fray. We have also been told two more players are expected in the new year bringing the total up to 6. 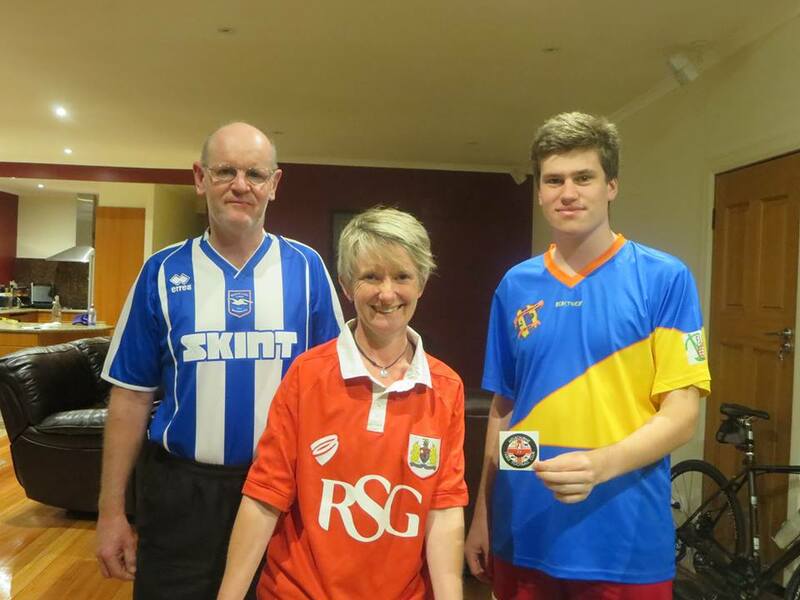 In the meantime, the club has followed suit with fellow Australian clubs and has purchased their own club shirts (red and blue as seen in above photo). And in October Alan Kimber took his first waspa title, well done Alan! 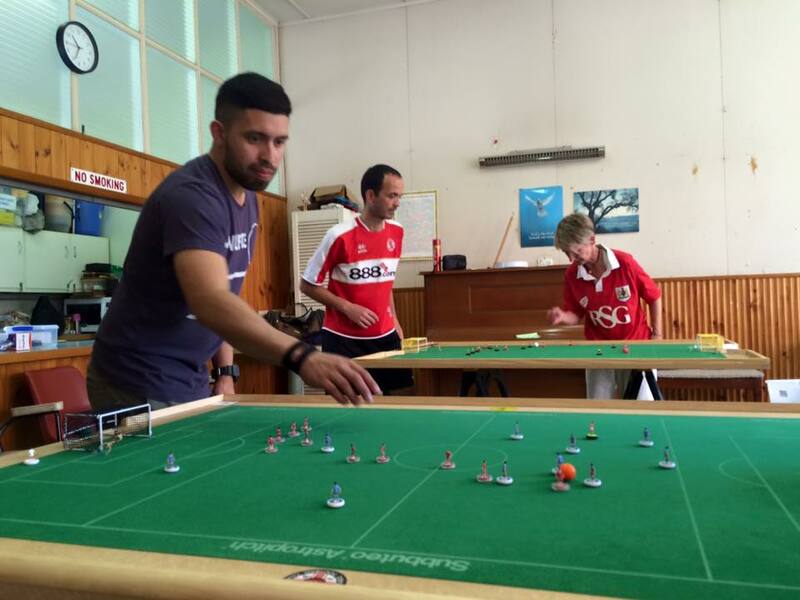 This entry was posted in News, Tournament reports on 26/11/2015 by subbuteomelbourne.